Remember to tag your photos. If you want to connect with other photographers, it’s important to use hashtags. They allow other Instagram users to find your images. and if one doesn’t exist you can create it when you post your image to your feed. You add these to your post by simply adding the number sign (#), or “hash,” at the beginning of the tag. When you start to type a hashtag in the Instagram iOS app, it will automatically generate a list of matches. If none of these suggestions fit, just add the tag you have in mind and it will be created. There is a limit to how many hashtags you can add. If you hit the max — currently 30 — Instagram will post the image, but leave the description blank. So make sure you don’t go over this limit. Which Instagram hashtags should you use? You should always add descriptive hashtags that identify your image. But other key hashtags can help get your pictures in front of other photographers. I didn’t understand the community aspect of Instagram at first. Once I did, it became one of the main things that keeps me coming back. After you start tagging your images, and searching for tags yourself, you will come across communities of users interested in common topics. Many users share other people’s images related to their favorite topics. 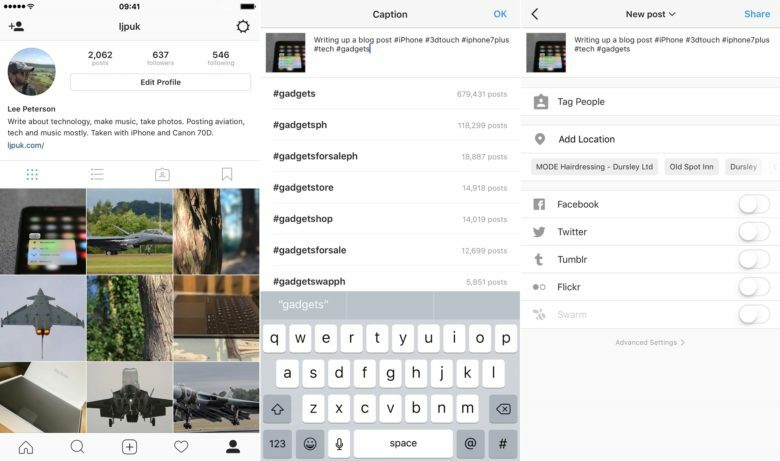 For example, some Apple fans on Instagram search out and share pictures with hashtags related to Cupertino and its products. This is the main way to connect with other users who share your passions. Search for topics you enjoy (e.g. Apple, iPhone, etc.). 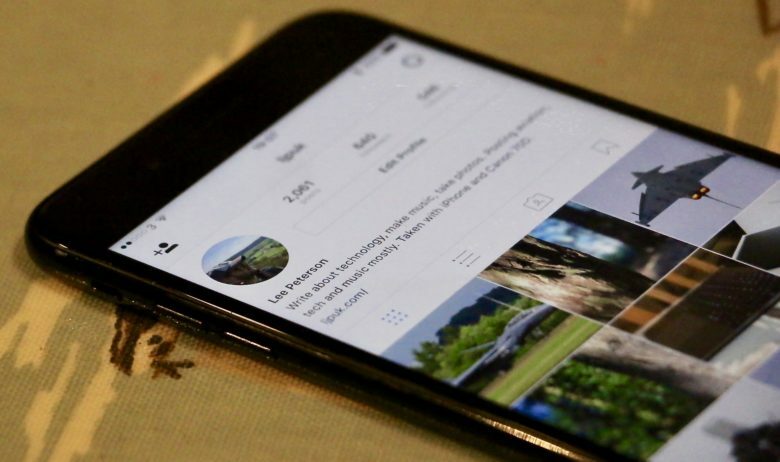 Sift through the images, and you’ll inevitably come across an Instagram user with a large number of followers who is simply sharing images that use a specific hashtag. For instance, Instagram user appleandcoffee focuses on pictures featuring … Apple products and cups of delicious-looking coffee. If you post a relevant image, use the hashtag #AppleAndCoffee to facilitate a connection. 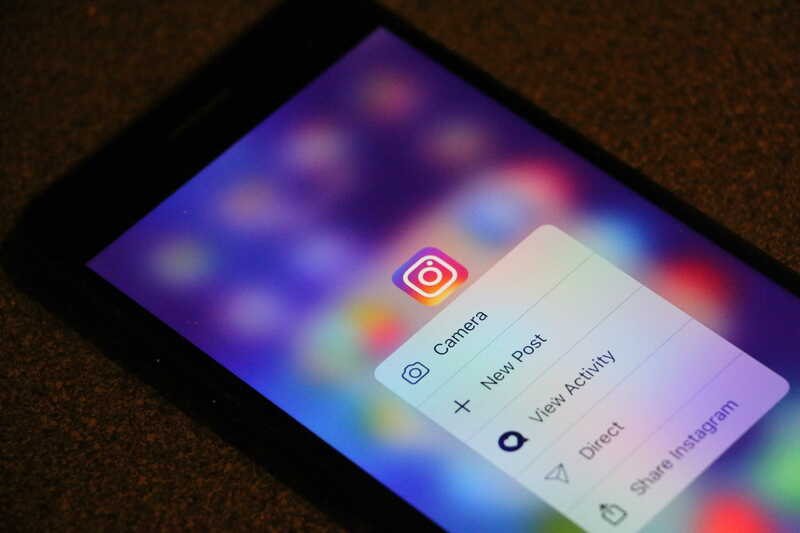 Liking photos related to your interests, and following photographers who routinely make or share those kinds of pictures, is essential if you want to experience Instagram’s community feel. Some Instagram communities run daily contests centered on a particular theme (typically tagged #dailythemetag). A specified user picks a subject for the day (e.g. #MacBook_Monday). You and other users post images that match the subject of the #MacBook_Monday hashtag. At the end of the day, a new person generates the next day’s hashtag. Participating in such contests can generate a lot of views and interest. In fact, this is the main way I have grown my follower base and received feedback about my images. Entering contests also helps you find your niche — something that people enjoy following you for on Instagram. Finding your niche is important if you want to be known for posting pictures of particular subjects (rather than simply sharing photos of what you had for lunch that day or what you saw on your way to work). If you have an iPhone 6s or higher, then get using 3D Touch. The Instagram app makes great use of 3D Touch. If you have an iPhone 6s or later, make sure you try hard-pressing on your timeline to see images rather than loading each one individually. You can also use 3D Touch on the Instagram app icon itself to see your feed or post new images. When Instagram launched, it was all about iPhone photography. Nowadays, it’s loaded with images shot on DSLRs. So don’t be afraid to post such pictures — it’s not cheating. Instagram is about building community and obtaining feedback on your photography. Nobody really cares what camera you used to take a picture — if it’s an image people like, they will let you know. I post images from my Canon 70D, uploading them to my iOS devices via Apple’s Lightning to SD Card Camera Reader first. Want to make the most of Instagram? Put a tiny bit more effort into it — and enjoy it! I’m by no means an amazing photographer, but since I stopped sharing my day-to-day activities and concentrated on posting images that fit within particular genres, I find that Instagram has replaced Flickr as my go-to place for instant feedback. I thoroughly enjoy checking my feed each day. The engagement I get from people who follow me has been a great way for me to grow as a photographer. How do you make the most of your time on Instagram? Share your favorite Instagram tips in the comments below.